Strength Shop Premium Latex Resistance Bands 41"
Set of 1 each no.2, 3, & 4. Resistance or exercise bands are used for variety of exercises. 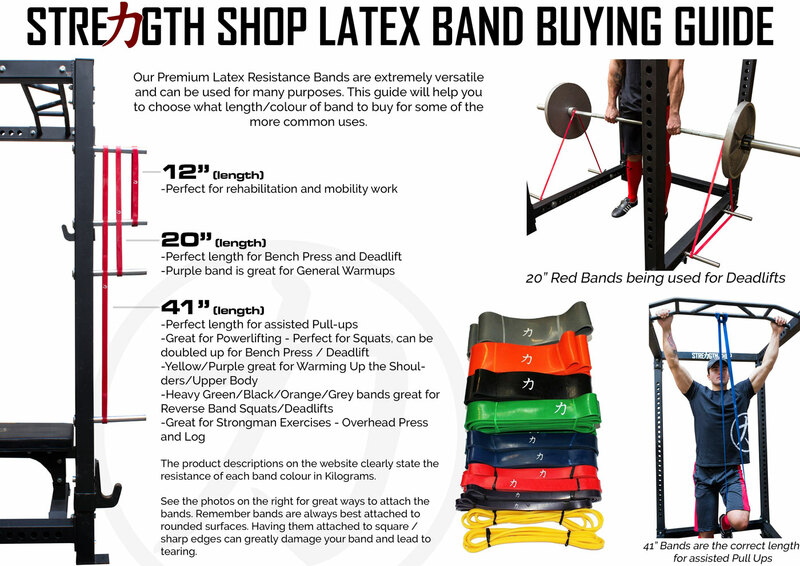 These bands are not only useful for workouts, but also for rehabilitation of injuries such as physiotherapy. Due to their lightweight and easy to carry nature, they are considered as the ideal workout apparatus.